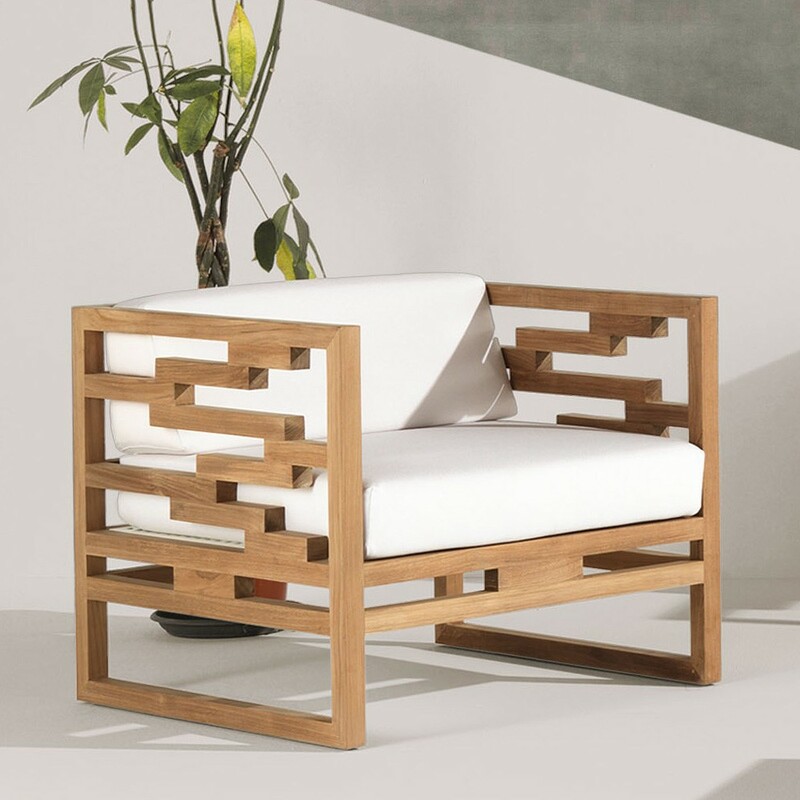 Kontiki is an ultra stylish lounge chair for outdoor use. 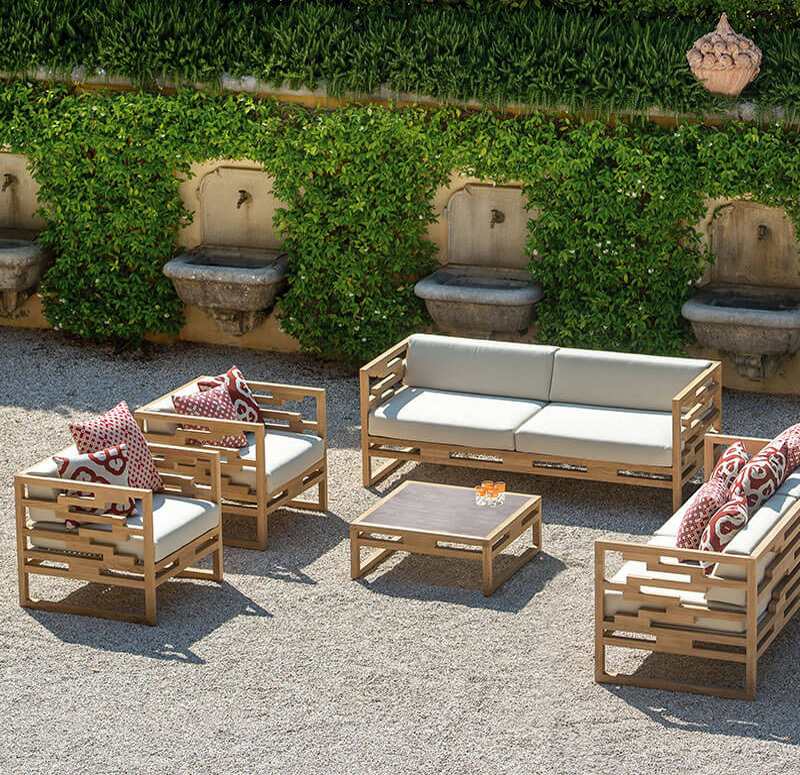 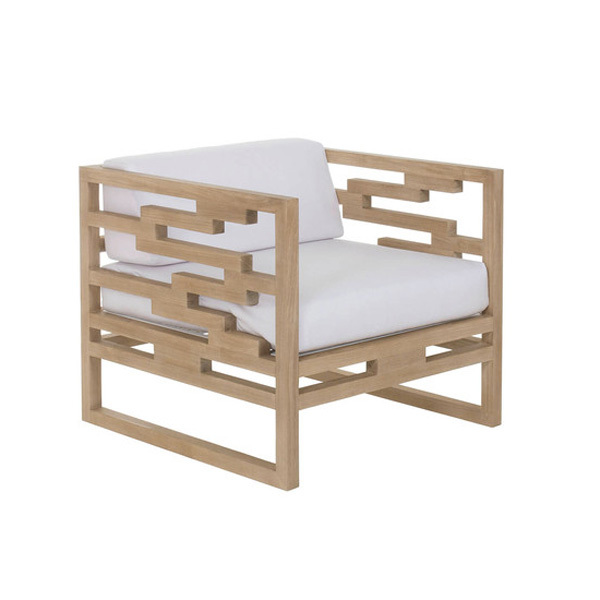 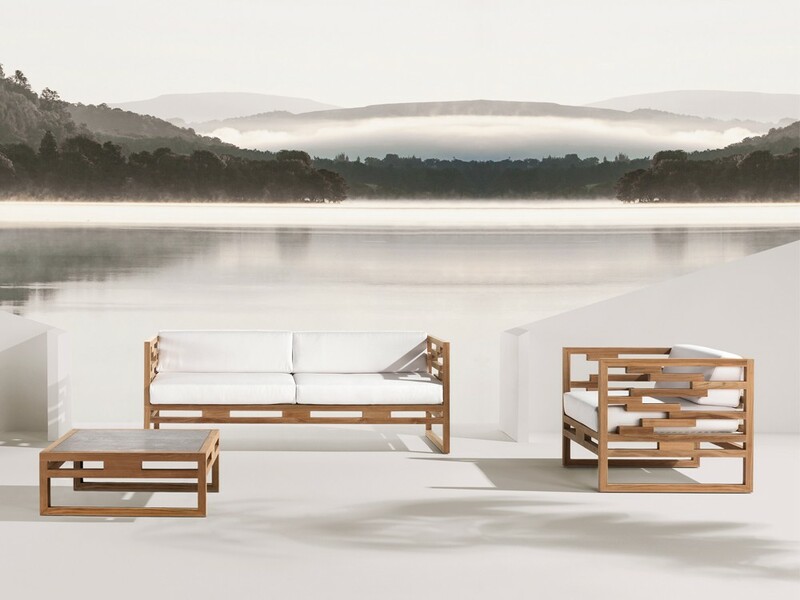 The frame is solid teak, the seating cushions are covered in a synthetic fabric, available in a choice of colors. 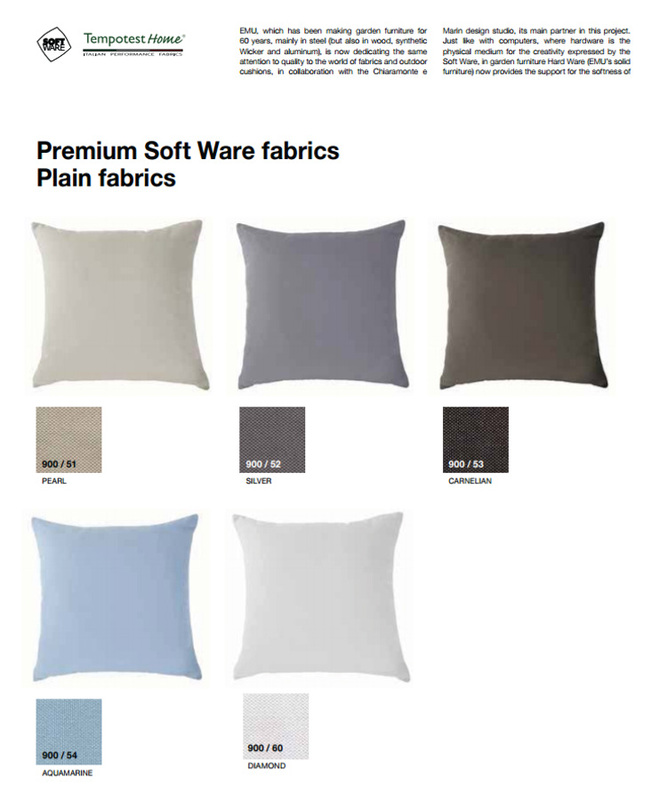 Throw cushions not included.